Bob Balaban Webseries Approach The Bench Hits - Are You Screening? In the always expanding, and continually more fascinating world of webseries, which now includes some huge names, Above Average is becoming a major player. 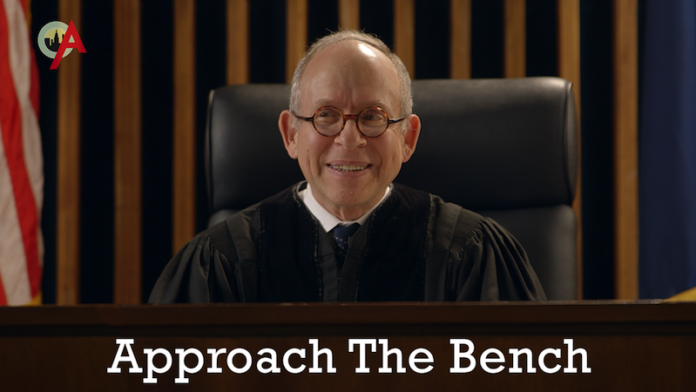 Their latest effort, Approach the Bench, features Bob Balaban as a judge, and showcases the strange conversations that take place during sidebars. The first episode, for example, finds the judge and attorneys trying to decide if one of the jurors is Danny Aiello. Catch the trailer above, and then check out the first episode of Approach the Bench here. You can also get some more info below. It is a little odd that the series puts itself out as having a 3-episode season, but perhaps we’re just testing the waters. I hope that’s the case, because this is the sort of thing, especially with Balaban center stage, that could lead to some hilarious bits as time goes on. Let me know what you think about this one, because I’d be interested in efforts like this taking off. Approach The Bench is a new series for Above Average. Written by ‘The Daily Show with Jon Stewart’ writer Zhubin Parang and starring actor Bob Balaban (‘Monuments Men,’ ‘Grand Budapest Hotel,’ ‘Seinfeld’), the series focuses on one judge’s (played by Balaban) colorful courtroom. 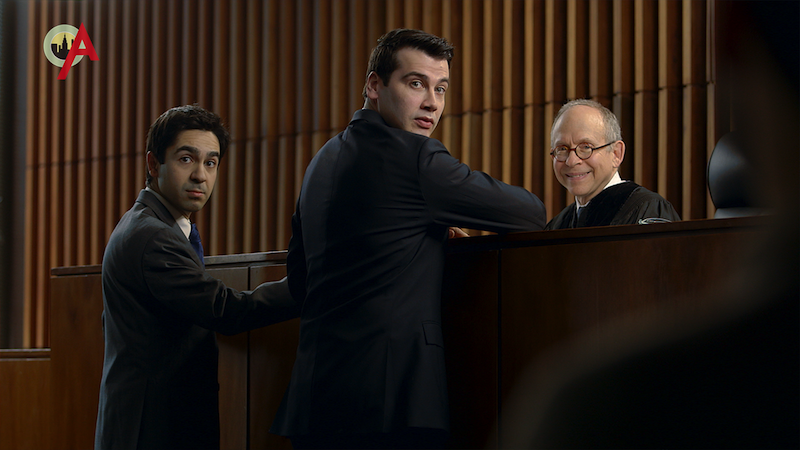 In the series premiere, the judge and two lawyers (played by Zhubin Parang & Ben Rameaka) try as best they can to subtly determine whether or not Danny Aiello is in the jury box. About Approach The Bench: Approach The Bench will have a 3 episode season, with new episodes premiering on Above Average every Wednesday starting 4/23.